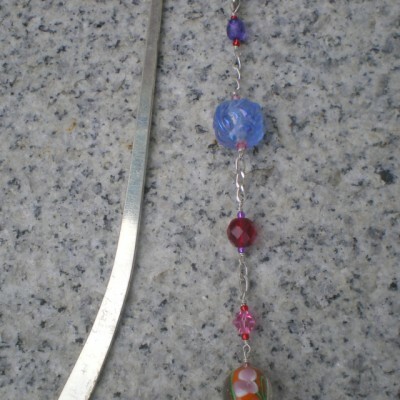 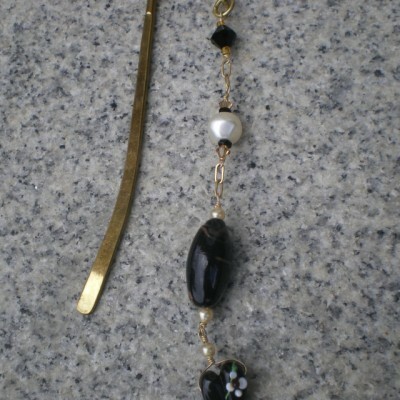 13 3/4″ Long bookmark. 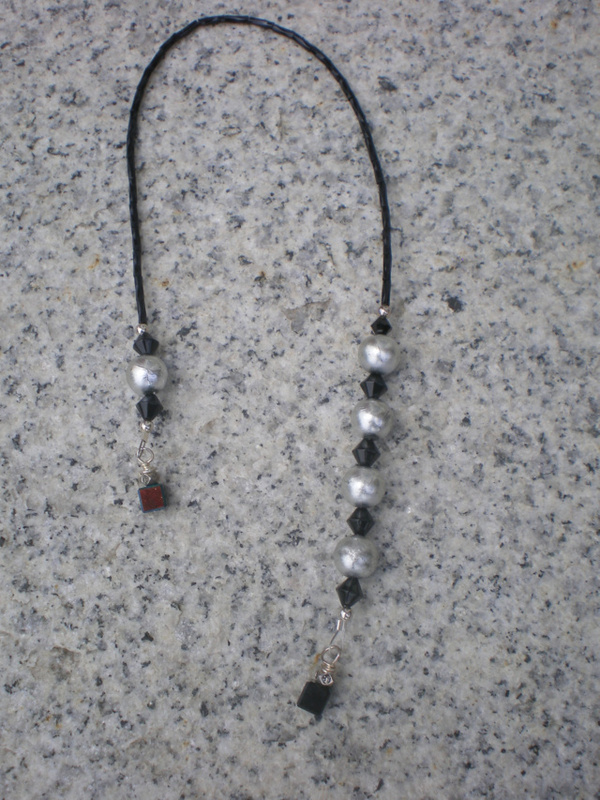 Black twisted bugle beads with weathered round grey beads and black bicone beads. 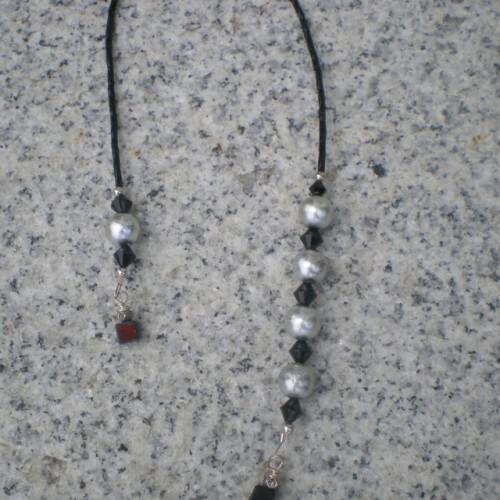 Black AB cube beads as dangles. 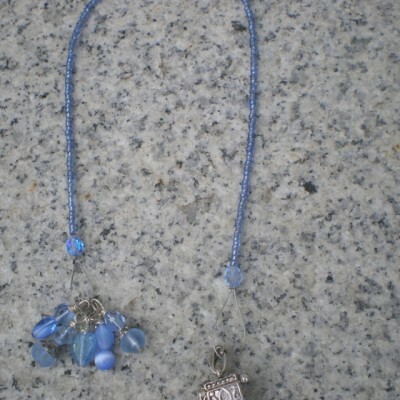 Be the first to review “Bugle Bead Bookmark” Click here to cancel reply.